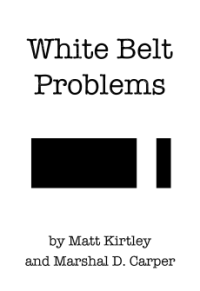 Home » BJJ Belts & Promotion » Why do some black belts have red bars at one end? Why do some black belts have red bars at one end? The red bar you sometimes see on black belts was originally intended to mark the wearer as an instructor. But many instructors wear plain black belts without the red bar, and many manufacturers simply make their standard BJJ black belt with the red bar. The bar has no special meaning towards the owner’s rank, other than being where stripes are added to the belt. You can read more about BJJ belt ranks and stripes in this section of the site.